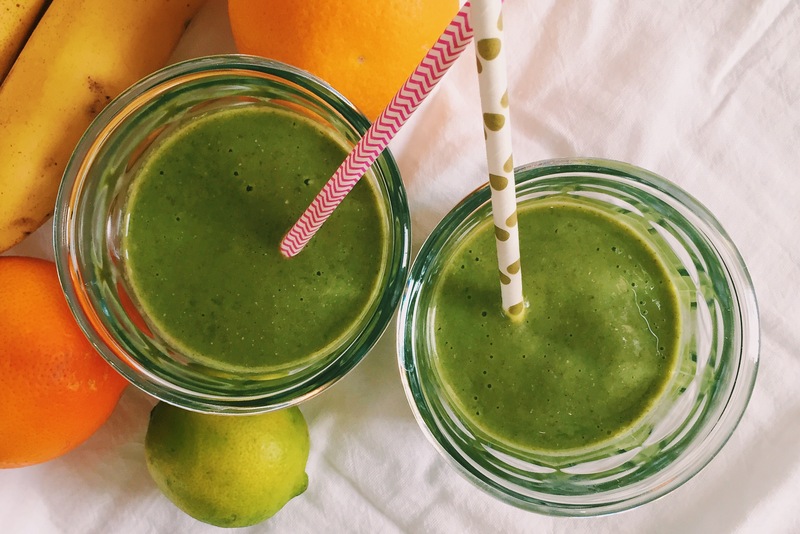 Winter Green Citrus Smoothie – A Healthy Pinch. I’ve used kale before in my smoothies but more times than not, I ended up with a brown-green, salad-tasting smoothie. As a smoothie-making novice at the time, I had my greens-to-fruit proportions all wrong and was trying to blend kale with a regular blender. FYI…it doesn’t work. Womp womp. I was forcing myself to gulp down teeny tiny chunks of green leaves with a grimace on my face and a vow to never use kale in my smoothies again. A bit dramatic, I know but once I got my act together a few years later and finally purchased a Vitamix, I was nervously anxious to try again. Lo and behold, it worked and I was churning out smoothies like it was my job. This smoothie is super simple but super satisfying and oh-so healthy because, you know, kale(!). Winter citrus- blood orange, Meyer lemon and lime- add a welcome tang that cuts through any leafy taste that might linger from the greens. I also use a vanilla-chia pudding from one of my favorite food blogs, How Sweet It Is, as the base which makes the smoothie super creamy, thick and just sweet enough. I’m sure that each component of the pudding could be added separately, however I am not sure the texture would be the same. One tablespoon of honey is used, so the smoothie isn’t vegan but it certainly could be with a simple swap of agave or maple syrup. Seriously green and seriously yum. This is winter produce at its best. Combine everything in a high-powered blender, such as a Vitamix, and blend on high. With blender on, drizzle water in through the top until mixture is thinned to your liking. Serve and enjoy! In a large bowl, whisk everything together until completely mixed. Either top the bowl with plastic wrap or store in an airtight container in the refrigerator for at least 2 hours or overnight. Once it’s ready, you can eat it as is and top with fruits of your choice or use in smoothies as I did here.